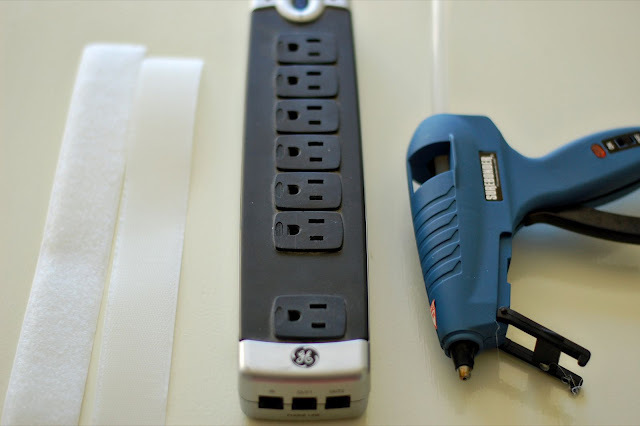 Need a little space or get annoyed with how visible power strips can be? You can hide it in 3 easy steps. 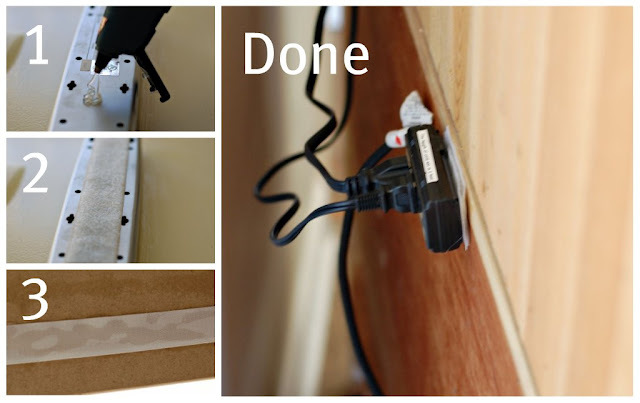 3) Hot Glue the other side of the Velcro onto the underside of the table or the backside of the cabinet.